Kendrick is heard on the single with Big Sean saying: "I got love for you all, but I'm tryna murder you n***as," and then shouts out a list of rappers' names, including Drake. Drake told Billboard: "I didn't really have anything to say about it. It just sounded like an ambitious thought to me. That's all it was. I know good and well that Kendrick's not murdering me, at all, in any platform. So when that day presents itself, I guess we can revisit the topic." He also recently revealed that his father Dennis Graham would guest on the deluxe version of his forthcoming album Nothing Was The Same, due out on September 23. 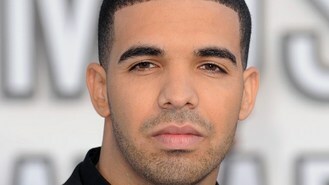 Drake's dad can be heard on the bonus track Heat Of The Moment, although it's not yet known whether he will sing. He was previously heard speaking on Jodeci (Freestyle) which came out earlier this summer. Canadian rapper Drake, who has said his dad "always wanted to be a famous singer," explained to XXL: "My dad is a star, that's what you have to understand. "I'm living my dad's dream... All he wants to do is go to Beale Street in Memphis and play music. He's rediscovered his passion for music and for being a musician."